Kalabhavan, a 50-year-old centre, started out producing Christian devotional songs, but ended up stamping mimicry on Kerala’s cultural fabric. There’s a famous anecdote about KS Prasad, one of Kerala’s finest and earliest mimics. Prasad, the story goes, would trek to the stadium near his house in Kochi to practise impressions, just so no one could hear him. Once there, he would let loose his full repertoire of over 100 sounds – from onomatopoeic moos, vrooms and bow-wows to Hollywood scores, the music of instruments and the calls of a coolie. So convinced was Prasad that nobody else possessed his diverse range that he visited the Guinness World Records office in Manhattan in 1984 while in the US for a mimicry show. His achievement, he strongly believed, merited an entry in the record books. “But they didn’t have the category then,” he said. Disappointed but undeterred, Prasad returned to Kerala and immersed himself in his mimicry practice, doing more and more shows. 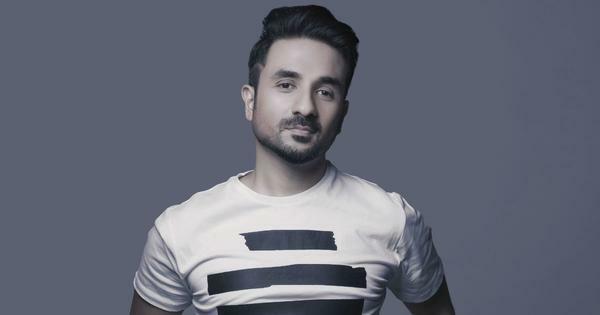 Another distraction for him was the work he did with artists at Kalabhavan Kochi, the institute that is at “the heart of mimicry” in the southern state. Some of Kerala’s best-known actors and filmmakers have begun their careers at Kalabhavan. They include the director duos of Siddique and Lal, and Rafi and Mecartin, besides actors Salim Kumar, Jayaram Subramaniam, Dileep, NF Varghese, Kalabhavan Shajon, Kalabhavan Mani, Bibin George and Thesni Khan. The mimicry greats in 1994. From left to right: KS Prasad, Nadirsha, Dileep, Jayaram, Nedumudi Venu, Bharathan and Innocent Vareed Thekkethala. Kalabhavan was set up in 1969 by Father Abel, a priest and patron of the arts who enjoyed and appreciated humour. In the early days of the institute, its remit was limited to the production of Christian devotional songs. But within a decade, Abel began organising ganamelas, or concerts that featured songs from films. Mimicry performances would be used as fillers in these programmes. “It was Father Abel’s vision to popularise mimicry in Kerala,” said Prasad. 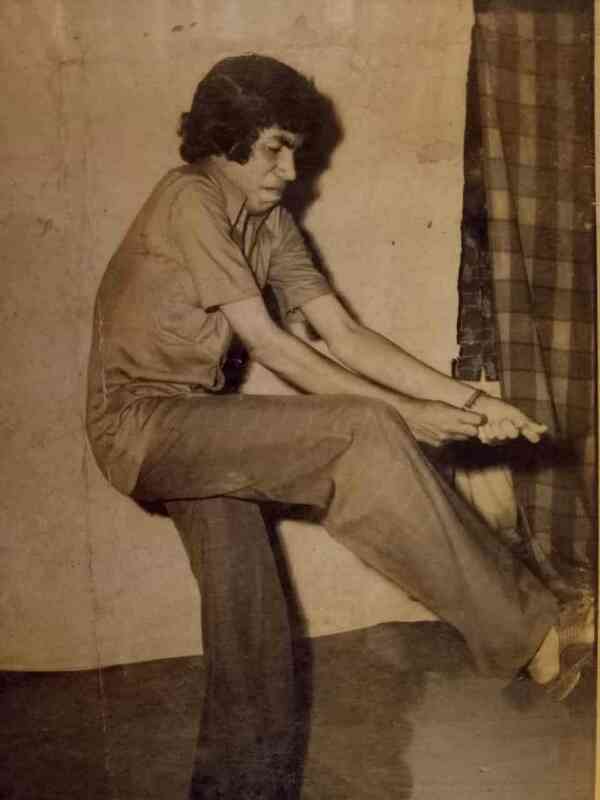 Kalabhavan mimics performed throughout the state in the late seventies and early eighties. The programmes, at that time, were mostly seasonal: during Onam in August-September and Christmas in December, and during the school summer vacations in April. Depending on the venue and occasion, the audience size varied from 500 to 10,000. “By the early ’80s, Kalabhavan became a centre for mimicry,” said Prasad. 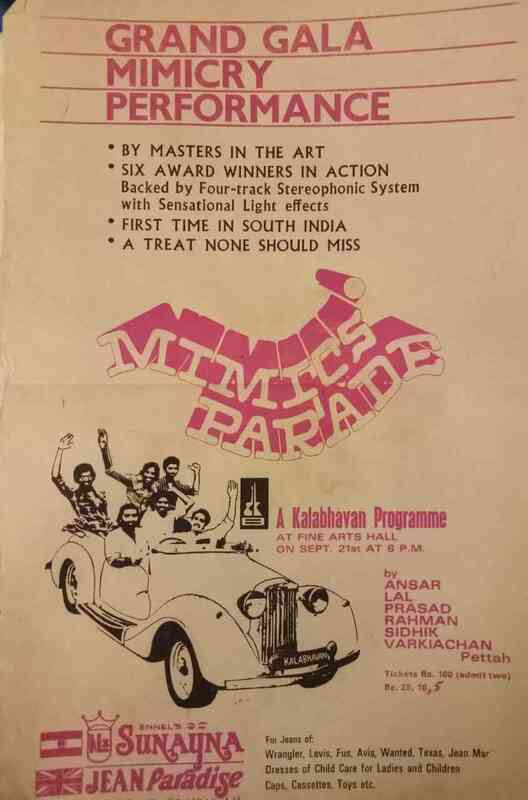 “We started organising mimicry as a collective event, where we would get 10-12 artists to perform on stage.” These events came to be known as mimics parade because of the white shirt and black trousers that all artists wore. 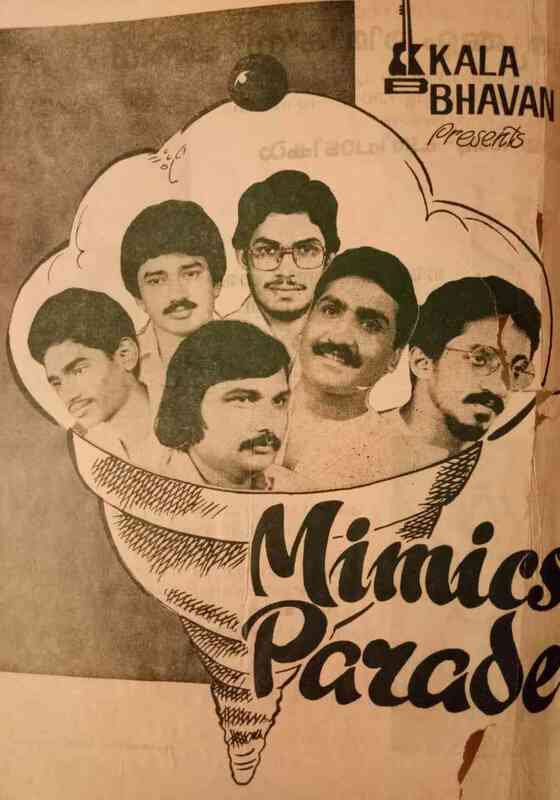 “The early 1980s was the time when mimicry transitioned from being [a] filler in ganamelas and kathaprasangams [and] evolved into two and a half hours [of] standalone entertainment,” said Prasad. As Kalabhavan flourished, so did the popularity of mimicry in Kerala. “The two became intertwined, and it is at Kalabhavan that mimicry became institutionalised,” said Ratheesh PK, who teaches sociology at the Jawaharlal Nehru University in Delhi and has written extensively on the subject. There is no structured syllabus or a degree course in mimicry at Kalabhavan. Yet, such is the popularity of the institute, which turns 50 this year, that there are usually up to 30 people training there at any time. The age of the students varies from six to 50. The teachers are mimics themselves. According to Ratheesh, “the precise origins of mimicry” as a form of entertainment in Kerala cannot be pinpointed, but it is possible to identify its cultural moorings. “Satire is what a Malayali grows up with – it has [always] been part of Kerala’s socio-cultural milieu,” he said. The southern state is home to Ottamthullal, a centuries-old mixture of poetry, dance and music in which “the performer parodies the socio-political situation of the times”. It is also where the performance art of Chakyar Koothu – the “traditional equivalent of modern-day stand-up comedy” – was born. “In the olden times, the chakyar, or performer, could even criticise the king in his court,” Ratheesh said. 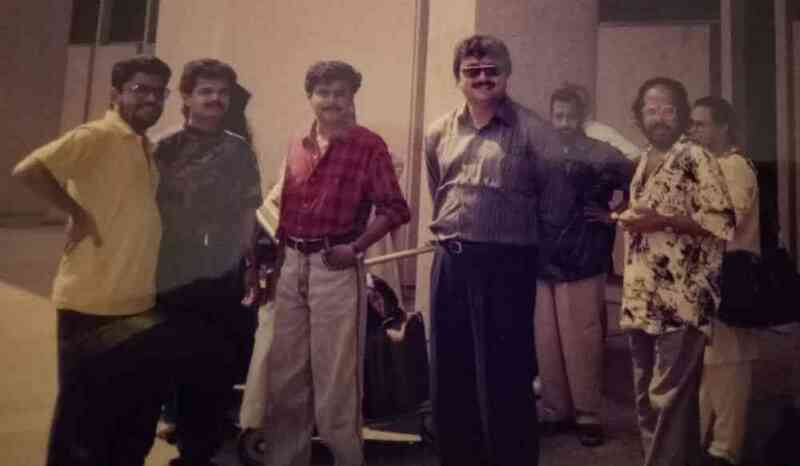 KS Prasad and Jayaram, now a Malayalam cinema star, perform in the Persian Gulf in 1987. 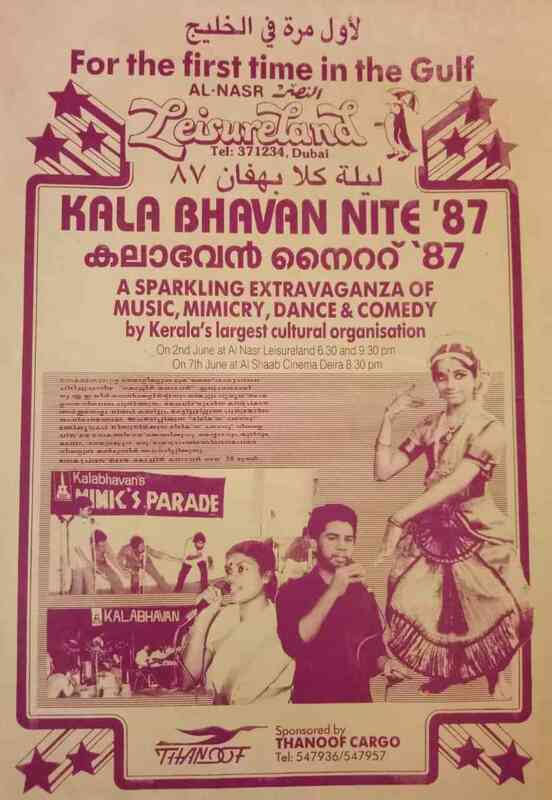 The first cassette, Kalabhavan Mimics Parade, came out in 1984 and featured Prasad, Siddique, MP Michael (more popularly known as Lal), Anzar, Varkkichan Petta and Kalabhavan Rahman, who were established names in the field by then. The popularity of the cassettes and the parodies gradually began to grow. Troupes sprung up across Kerala. “By 1995, there were as many as 100 mimicry troupes,” said Prasad. One mimic who rode the popularity of the cassette format was Dileep, once a Kalabhavan member and now a well-known Malayalam actor. 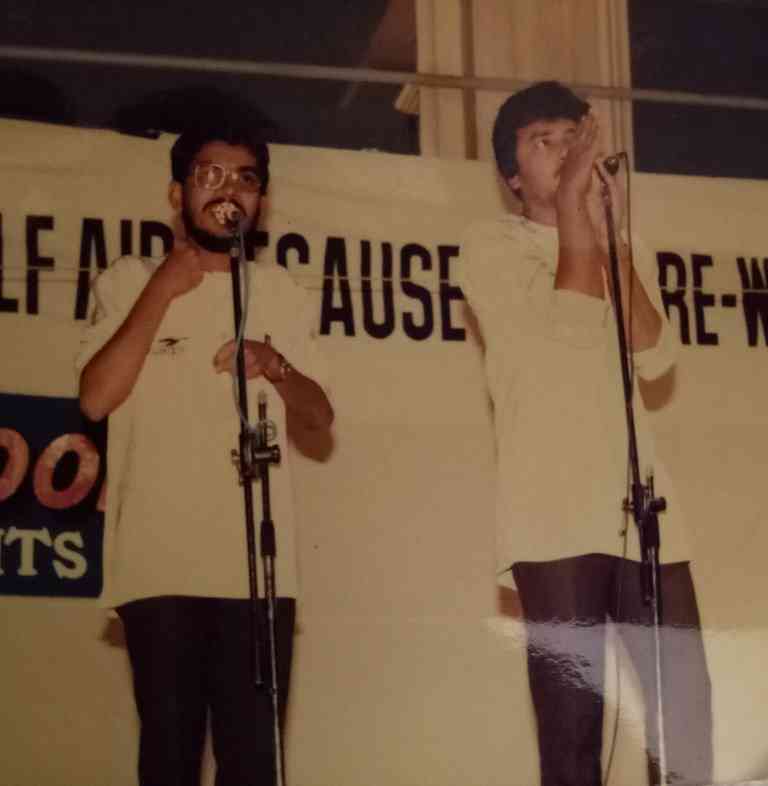 Together with Nadirsha, a popular director, he came out with Dhe Maveli Kombathu, a comic album series that released every Onam, from the early 1990s to the mid-noughties. The series portrayed Kerala through the eyes of the protagonist Mahabali during Onam. Jayaram’s entry into films in 1988 was another turning point for mimics. He joined Kalabhavan straight after college and went on to win several awards. His success on the stage helped him land his debut film at the age of 22. “Jayaram broke the stereotype,” said Ratheesh. “He opened the door for other mimics to be taken seriously in cinema.” Kalabhavan now came to be viewed through a different lens – “as a centre that produced not just mimics but actors as well,” said Prasad. By the mid-noughties, television too embraced mimicry, making it a big business. “Every channel started to [feature] comedy utsavams and shows,” said Prasad. “It became a platform for young and old mimics [alike].” But gradually, the content of the shows came under fire as the “lines between laughter and abuse were blurred”. 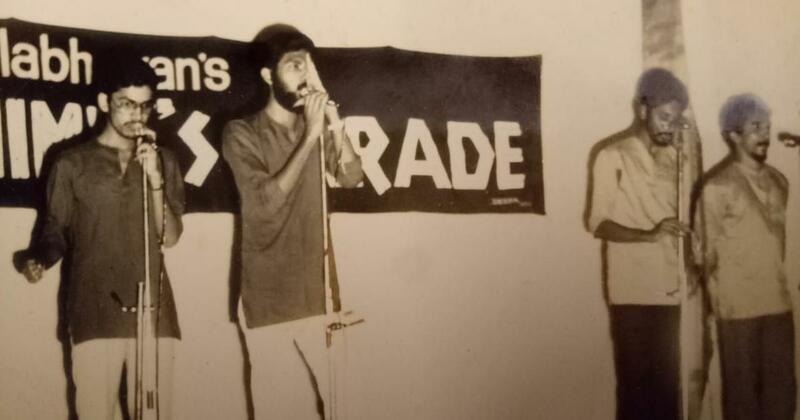 KS Prasad performing as a 16-year-old in 1977.